This timelapse comprises approximately 21 375 images of Earth captured by Alexander from the International Space Station orbiting at 400 km altitude and shown 12.5 times faster than actual speed. 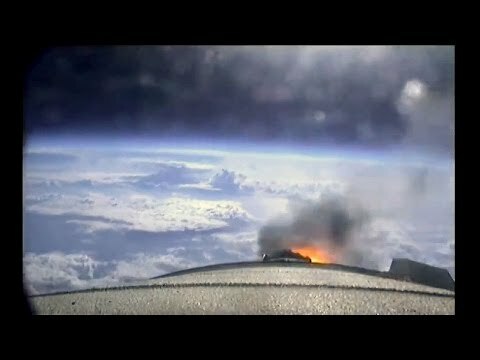 A camera mounted on each of space shuttle Endeavour's solid rocket boosters capture the launch of the orbiter on STS-134 from NASA's Kennedy Space Center on May 16, and documents the SRBs' separation and subsequent landing in the Atlantic Ocean. I started this website to share the universe through my images, I consider myself Amateur astronomer! JUSTSTARGAZING.COM 2018 JustStarGazing.com. Layout Modded by Matthew Knight.